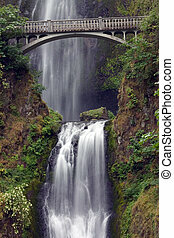 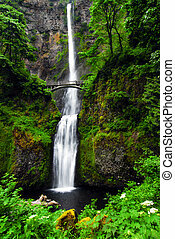 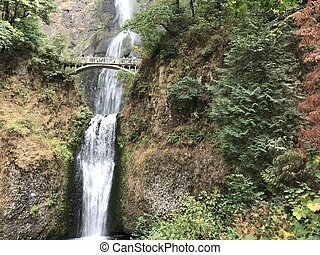 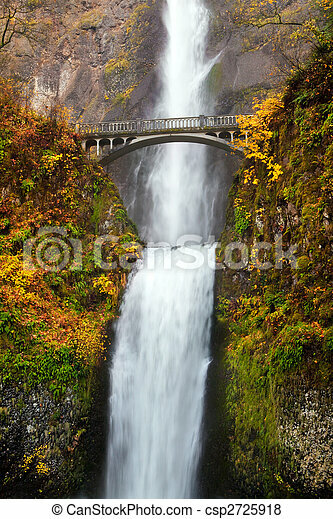 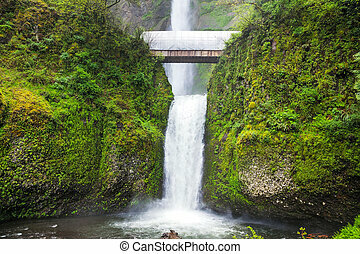 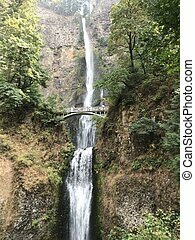 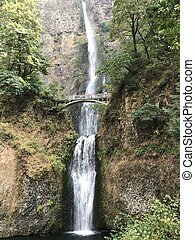 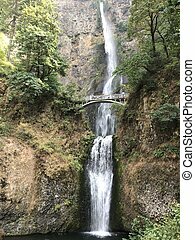 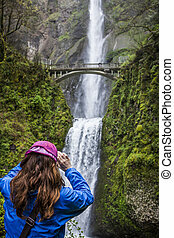 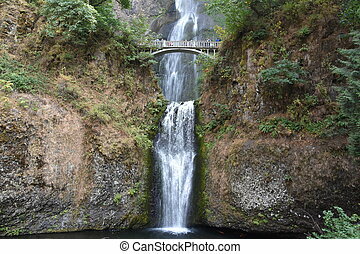 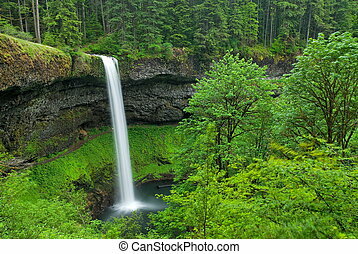 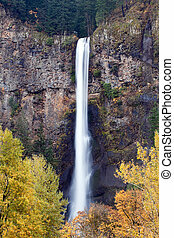 Waterfall - multnomah falls in oregon. 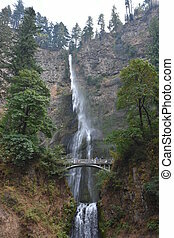 Multnomah falls waterfall near portland, oregon. 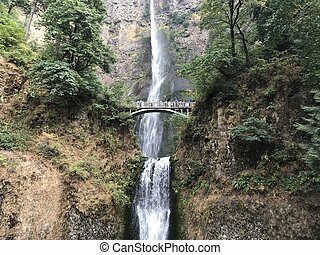 second highest year-round waterfall in the us. 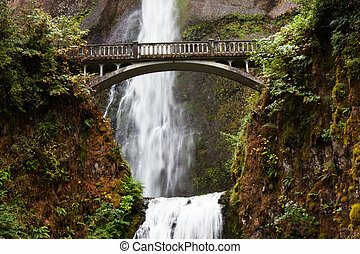 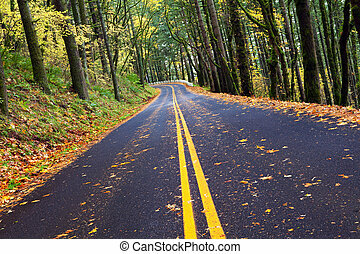 Bridge over Multnomah falls. 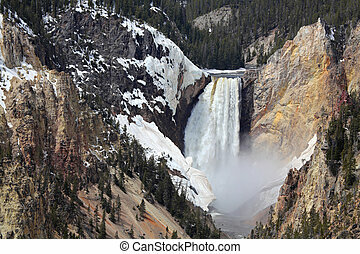 Lower falls in the foreground, upper falls in the background. 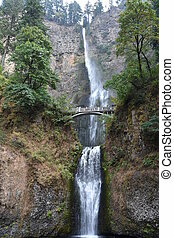 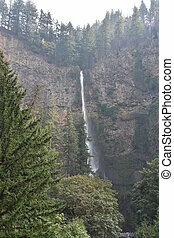 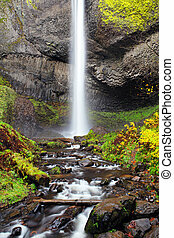 waterfall - multnomah falls near Portland, Oregon. 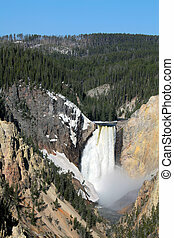 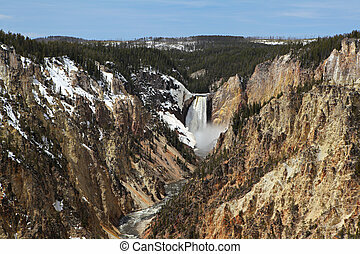 Second-highest year-round waterfall in the US.